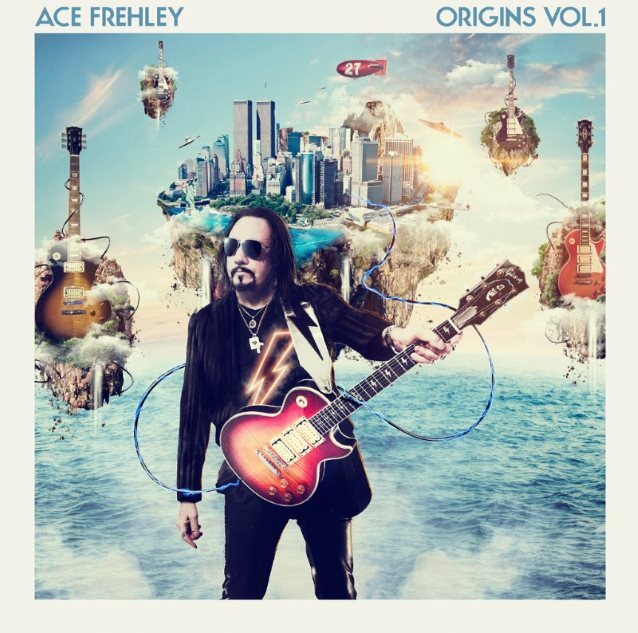 Original KISS guitarist Ace Frehley will release "Origins Vol. 1", a collection of twelve newly recorded classics from Ace's formative years featuring some of the biggest names in rock and roll, on April 15. Most notably, KISS frontman Paul Stanley joins Ace on FREE's hit "Fire And Water". This collaboration marks the first time that Ace and Paul appear on the same studio recording since KISS's 1998 reunion album "Psycho Circus". Today Rolling Stone debuts "White Room", the classic hit originally performed by CREAM. Other guests are none other than Slash trading leads on THIN LIZZY's classic "Emerald", Lita Ford singing and playing lead on THE TROGGS staple "Wild Thing", ROB ZOMBIE guitarist John 5 playing guitar alongside Ace as he sings his classic KISS composition "Parasite" for the very first time, as well as Jimi Hendrix's "Spanish Castle Magic", and PEARL JAM's Mike McCready also plays guitar with Ace as he finally sings his KISS "Alive!" mainstay "Cold Gin". "White Room" is also an iTunes instant gratification track, meaning fans who pre order the LP on iTunes will receive the CREAM cover song instantly. Ace will be as active as ever on the road in 2016, having just announced three weeks' worth of tour dates in the U.S., including two nights at the B.B. King Blues Club & Grill in New York City. Ace will be joined on the road by Richie Scarlet (rhythm, guitar and vocal duties), Chris Wyse (THE CULT) on bass and vocals, Scott Coogan (BRIDES OF DESTRUCTION) on drums. 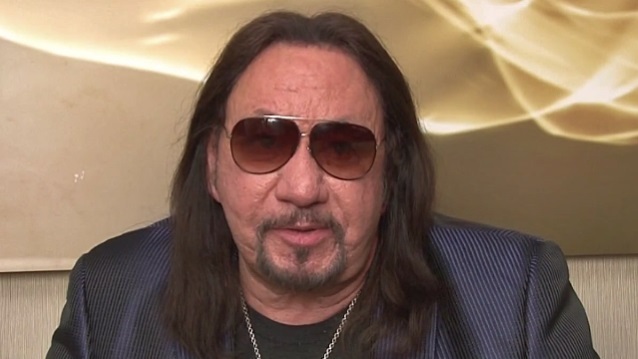 After weeks of bad-mouthing each other in the press, the four original members of KISS were inducted into the Rock And Roll Hall Of Fame in April 2014 by RAGE AGAINST THE MACHINE guitarist Tom Morello, with all four — Paul Stanley, Gene Simmons, Ace Frehley and Peter Criss — delivering warm, nostalgic and even sweet-natured speeches that put aside the simmering tensions for at least 12 minutes. KISS did not perform — the Hall Of Fame wanted the original quartet only to play, while Simmons and Stanley insisted on the current lineup — which also includes guitarist Tommy Thayer and drummer Eric Singer — performing as well. In the end nobody won that battle.